Now we are on the downhill side of his trip, and we get to pick him up on Friday!!! All four of us are super excited about that! To help us kinda get out of the house and stop counting down the days, we decided to come spend a long holiday weekend with my parents. We got to spend a day hanging out with my mother-in-law, my sister and brother-in-law and my nieces, which is always fun. My SIL and her family were visiting from Saint Kitts, where they live for the time being. They were back in the states for a couple of weeks, but unfortunately, schedules prevented us from having more time with them. But, we had ALL day Friday and we enjoyed it. Yesterday, my mom and I got to spend a great day together, getting pedicures and just doing some running around. Today, we are going to help my other niece celebrate her first birthday, which is so special! I don't get to buy little girlie things that often, so I may have went a little overboard with the gift buying, lol. Tomorrow, we will be heading home, but not before taking part in some Memorial Day celebrations with my parents at their American Legion. The boys will also get to see an offical flag retiring ceremony tomorrow, so that's really cool. As far as school goes, we are winding down nicely. Braeden has just about finished all of his 1st grade lessons. Bailey has more to do, but he has time since we don't have a formal "end of the year." I think this week, Bailey is going to have another "scout work = school work" kinda week. I don't feel even a little bit bad about that...you wouldn't either, if you knew just how much he has to do before he leaves for camp next Sunday! On Monday, remember who it is we are honoring that day. Even though it's a day to commemorate those soldiers who made the ultimate sacrifice, we still have brave men and women putting their lives on the line every day. If you see a soldier, thank a soldier. I'm a big TV fan. I know, TV watching rots your brain. Whatevah. Still a fan. My DVR and I have a very healthy relationship and I'm just not afraid to admit that. This is season finale time for most of my shows. I'm alright about them I guess, if they aren't cliffhangers, lol. Sheesh...nothing like waiting 3 or 4 months to see what happens next. Castle - I looove Nathan Fillion. For real. Love. Met him even. I know, go me. :) Watched him in Buffy, Firefly (Woot Cap'n Tightpants! ), Slither, Waitress, Dr. Horrible and now Castle. I don't know that he could do anything I wouldn't like. Castle is a whole family show. While I watch a lot, the hubs watches very little. The boys watch a few of my things with me. Anyway, Castle was good. It was a cliffhanger and had some points in the show that I thought were handled very well. Happy, happy that it was picked up for next year. Criminal Minds - This is probably my favorite of the crime shows. Even though I miss Mandy Patinkin ("Hello. My name is Inigo Montoya. You killed my father. Prepare to die. "), I love the cast and really like how well they work together. The finale wasn't a huge cliffhanger, but there was a little surprise at the end. It was less of a surprise though, thanks to the episode description on my DirecTV guide. :/ Looking forward to it's return next year. The Mentalist - This is another family show. We all love Patrick Jane! I was very pleased with this finale. There's not a lot that I can say without giving everything away. I will say that it seemed to wrap some things up nicely...seemed being the operative word. I'm suspicious, lol. The Vampire Diaries - Oh don't even. We all have our guilty pleasures. And really, have you seen Ian Somerhalder? Ok then. I liked the finale. I was kinda sad, kinda happy. I really don't feel like anything was wrapped up. On the other hand, I don't feel like I was left gasping. It was really good and I'm looking forward to it's return. Smallville - *sniff* I love superheroes. All of them. Nope, I don't really read the comics. I just like superheroes. This was Smallville's tenth and final season. Hence the sniffling. It was a nice goodbye. Fringe - Another whole family show. We have liked this show from the beginning. When this season started, we all had the same reserved opinion. We couldn't say that we disliked it, but we really couldn't say we liked it either. But it kept us interested. As the season progressed, however, it got better and better. Definitely a cliffhanger. House - This one is Monday. Looking forward to it, but it's another one that we have to wait for Walter to get home. I told you I watched a lot, lol. Dropped the hubs off at the airport yesterday. We all had sad faces for a while. But I'm sure the two weeks will go by quickly. And we are really hoping this training and these new job responsibilities are a good thing for him, and for our family. This week we will have plenty to do to keep busy, and hopefully help with missing him. We are still plugging away with the Scout requirements Bailey needs to finish before camp. I am hoping to do a little more school than usual...just because I know June is going to be so sporadic. I will have some spelling printables to help with handwriting, spelling and vocabulary. I keep waiting for the day when handwriting isn't such a battle here. That day will come, right? *crickets chirping* Right?? I had a cool moment at Braeden's soccer party yesterday. Our county's last day of school was Friday, so the topic of how excited everyone was to be out of school was a hot topic of conversation. 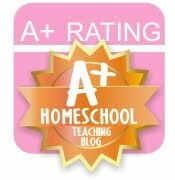 Of course, it ends up being mentioned that we are homeschoolers. Well, after the party we were walking to the car and one of the parents who we honestly had very little interaction with this season actually tracked me down to ask me about homeschooling. I was surprised! In our area, homeschooling isn't exactly a rogue, underground movement, but it's not a hugely popular thing. Alrighty, I have rambled enough. I have to grocery shop now. I think I'm done playing "vacation catch-up." This week is going to be spent getting the hubs ready to be away for two weeks. That is not happy making for us. But it's got a little bit of cool to it...he gets to finally meet the people he's been working for for the last 3 1/2 years. The boys are working on some Scout requirements this week. Bailey much more so than Braeden. This means I have to pull him away from the art games he's been enjoying, lol. Bailey has several requirements he has to complete before summer camp. He also has to earn the first aid merit badge. These are some of those times that "scout time" and "school time" end up being the same "time." Soccer season drew to a close this weekend. Even though both of the boys love to play, no one is really ever sad to see the end of a season. Four nights a week for 6 weeks can do that to you. Having said that though, by the time fall sign-ups come back around, we are all more than ready for it to start again! Not much else going on in these here parts. As you can tell, I am failing (again) in my picture posting duties. BUT, I did finally get the vaca photos off of the hubs' laptop and onto my computer today. See all that progress?? As I leave you, I would like to selfishly ask for something. I found out this week that my mom needs a liver transplant. This came about rather suddenly (dealing with a liver problem for a while, but the rapid onset of failure took us all by surprise). I would greatly appreciate it if you would send up prayers and/or send out happy thoughts. She's going to need a lot of both of those, as will the rest of the family. Thank you!!! You know that period of time when you return from vacation, where you spend untold hours playing catch up from all that was not done while you were away? It always makes me feel like I need another vacation to recuperate from coming back from the first vacation, lol. We had a wonderful time in Florida, even though it seemed like it went by quicker than usual. Spent a lot of time just relaxing at the pool or playing at the beach. We did have one tourist-y day...we spent an entire day at Kennedy Space Center. And it was awesome! Now it's back to our daily grind. The boys are going to get back to work on this school year. I'm going to make Braeden concentrate on some Dolch words (before I started homeschooling and realized they actually had a name, I called them "sight words") to help with his reading. Bailey is Bailey and he just keeps plugging along. He will be starting 7th (holycrapwhendidthathappen!) grade next year, and I think we are going to add some math to his school day. 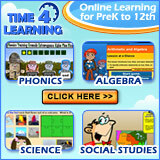 Our homeschool program offers an algebra curriculum. I don't know that I need to worry about it in 7th grade; I could wait until 8th grade. But, since he struggles with some math concepts, it might be good to give him more time to get through the algebra stuff. The first week in June Bailey is going to his first Boy Scout summer camp. Six nights away. Gulp. I know he will have a great time. But GULP. Braeden has his Cub Scout day camp (Cubs are too young to have over-nighters, so they get a day camp) during the last week of June. Happy Mother's Day to all the mommies!!!!! !